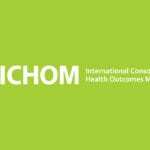 The International Consortium for Health Outcomes Measurement (ICHOM) today announced the launch of the ICHOM TechHub, a first-of-its-kind online, review-based directory of electronic tools for outcomes measurement. Today, there exist a growing number of IT platforms that make measuring health outcomes, in particular patient-reported outcomes, easier than ever. 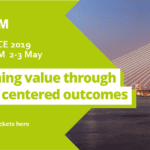 However, it is often difficult for hospitals to identify and compare the available options, delaying outcome measurement initiatives and the movement towards value-based healthcare. The ICHOM TechHub streamlines and expedites the procurement process by aggregating information on vendors and their platforms on a single website. Using the Techhub, healthcare providers and administrators can view profiles and reviews, sort and filter options based on key criteria, and request additional information and virtual product demonstrations from those that ultimately meet their organization’s preferences and needs. ICHOM Technology Affiliates featured on the TechHub are pre-screened by ICHOM to ensure that they meet baseline requirements in data access, data security, system reliability, unique patient identification, and adaptability. Furthermore, each Technology Affiliate is capable and willing to support collection of ICHOM Standard Sets. The TechHub currently features more than 20 different Technology Affiliates, with platforms ranging from smartphone apps to cloud-based registries. The diversity of geography and functionality of these platforms will allow the TechHub to serve as a valuable resource for hospitals around the world interested in measuring ICHOM Standard Sets and pursuing value-based healthcare.